That has created a massively valuable ecological asset for bumblebees and other biodiversity, as well as adding an extremely attractive environment for players. "Golf courses provide ideal locations for habitat creation. With the right management these areas could provide ideal habitat for bumblebees and other pollinating insects." Operation Pollinator is the culmination of more than 15 years research by Syngenta into the environmental management of habitats for bumblebees, butterflies, spiders, beetles and other insects. The proven golf specific programme has been backed by a four years of trials by the STRI, support of independent ecologists and research on commercial golf courses across the UK to successfully establish and develop wildflower areas in out of play rough. 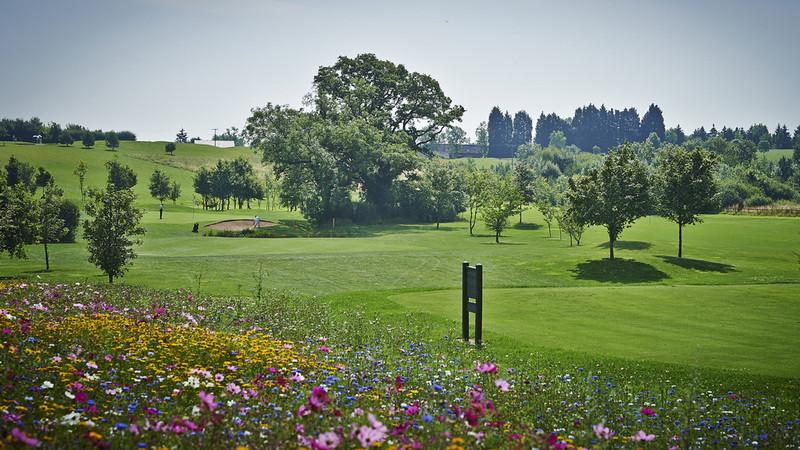 Daniel believes that even the most intensively of played golf courses can find space for environmental habitat creation, including out of play rough, behind tees and greens, on rough carries and alongside woodland or water features, for example. “We now have positive examples of every type of course getting involved, at different levels,” he added. “All the clubs are incredibly willing to share their experiences and advice through the Operation Pollinator network. “With this approach, golf courses can deliver a net gain in biodiversity in out of play areas, whilst maintaining the level of inputs required to consistently produce top quality playing surfaces." Golf clubs and amenity spaces can now sign up for Operation Pollinator with a simple online form CLICK HERE.